Oren's Money Saver: $200 Visa Gift Cards fee Free at Staples, 1 per Order? 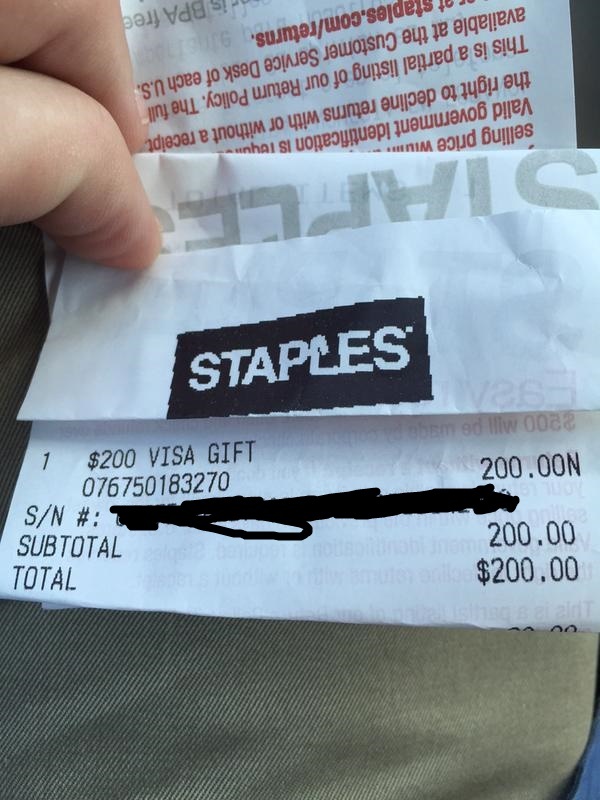 $200 Visa Gift Cards fee Free at Staples, 1 per Order? Update: Fee is now being charged correctly. Picture shows that there was no fee when purchasing a Blue $200 Visa Gift Card at Staples. He then bought another four and got the $6.95 fee waived once. It may be that every purchase can have one fee waived. I have no personal experience here but I think it is worth it to check it out, especially if you are going to Staples anyways. Make sure to use a Chase Ink card for 5x points.